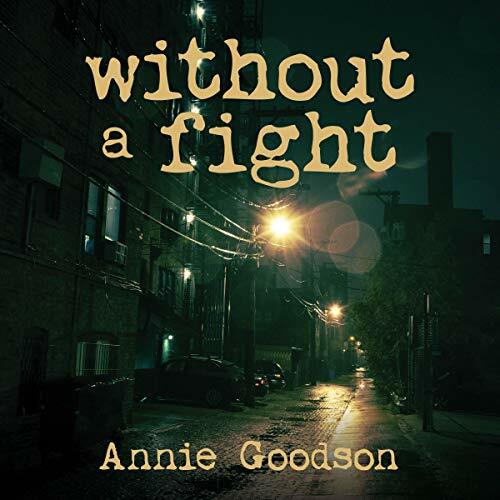 Growing Up Amongst Dog Fighting and Gang Bangers Make Life Difficult In "Without A Fight"
Growing up amongst dog fighting and gang bangers make life difficult in the new audiobook "Without A Fight" written by author Annie Goodson and narrated by Marlin May. Now available worldwide, download your copy today! NEW YORK - Dec. 14, 2018 - PRLog -- It's summertime on Chicago's South Side, and Caleb has it made. He's about to start high school, his mom got him and his sister out of government housing, and his best friend, D, has their future all planned. But when a dead dog turns up in a dumpster, the summer takes a sick turn. Rumors of dog fighting begin to swirl, a big-bellied cop starts poking around the block, and Sway, a small-time gang banger with something to prove, starts pressuring the boys to join his operation. D can always talk their way in and out of all kinds of trouble, but now trouble has teeth and fur, guns tucked into waistbands, and mean-eyed boys acting like men. Overnight, the neighborhood transforms into a forest of monsters on the prowl, and if Caleb wants to make it through the summer, he'll need to find a voice of his own. Go Behind The Scenes In The New Audiobook "Yes, Ma'am! : Running the Thin Blue Line - A Cop's Memoir"